On 4-6 December 2013 the Ministry of Economy of the Republic of Lithuania along with the Agency for Science, Innovation and Technology will hold the first Vilnius Innovation Forum ‘Innovation Drift’ in Vilnius .The Vilnius Innovation Forum ‘Innovation Drift’, which is expected to be among the leading events in the EU during the Lithuanian Presidency, is planned to convene 600 participants from different countries of Europe. 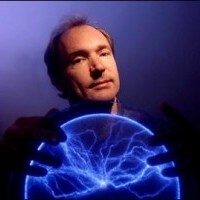 Sir Timothy John Berners-Lee, the inventor of the World Wide Web, who is coming to the Baltic States for the first time, is invited as one of the keynote speakers of the Forum. Moreover, insights on the role of innovation in Europe’s economy will be also shared by business and science innovation leaders from all over Europe. “The Vilnius Innovation Forum ‘Innovation Drift’ is designed to create a European platform for high-level discussions about the importance of innovation and science and business co-operation, as well as to highlight innovation as the main driving force for economic growth, job creation and welfare of Europe,” said Evaldas Gustas, Minister of Economy of the Republic of Lithuania. 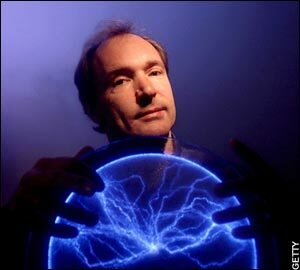 Timothy Berners-Lee, who is one of the most important figures of the 20th century, is the man who has changed the life of the entire world and is best known for inventing of the World Wide Web. Sir T. Berners-Lee will open the Vilnius Innovation Forum with an inspiring address on innovativeness and entrepreneurship in the global world. Innovation leaders and experts from the business, science and public sectors of Lithuania and other EU countries will discuss EU competitiveness and the role of small and medium-sized business in creating an innovative Europe as well as share good practices and have a matchmaking possibility. The inspiring speakers and moderators will offer useful insights to Forum participants. The most successful business representatives of eco-innovations will share their experience; the moderators of women entrepreneurship enhancement and the business start-ups sessions will run lively discussions. Moreover, the Forum participants will have a possibility to opt for the most informative, innovative and interactive sessions of the two-day programme. The science and technology exhibition will complement the discussions; on the third day, the foreign participants will be invited to visit the most innovative companies of Lithuania.